The ROG Phone is a gaming smartphone launched by Asus. It sports a 6-inch AMOLED display with a 90Hz refresh rate and an FHD+ resolution. Powering the ROG Phone is a specially binned Qualcomm Snapdragon 845 SoC that has a higher clock speed of 2.96GHz. It has 8GB RAM and 128GB of storage which is non-expandable. The ROG Phone runs ROG UI on top of Android 8.1 Oreo. It houses a 4000mAh battery and gets a 30W charger in the box. It also gets an AeroActive Cooler which has a fan to keep the device cooler. The ROG Phone is a dual SIM device and has support for dual 4G as well as dual VoLTE. 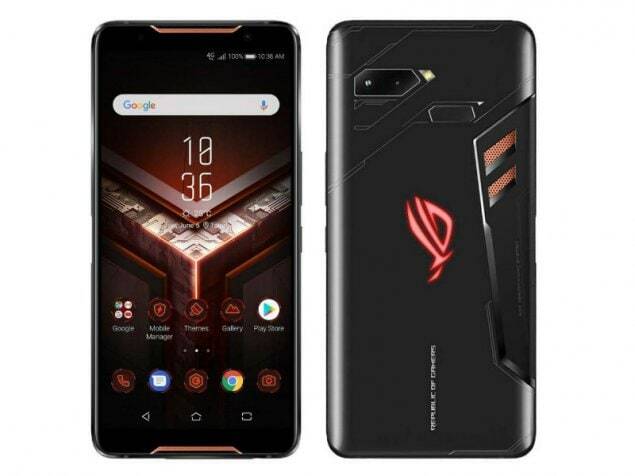 The ROG phone would be awesome, I am a gamer just like all of you but the only problem i forsee with this phone is it being expensive upon release so most younger gamers like me would not be able to experience this phone. Gamers should love this phone no lag ,no frame drops and dven you can play via on your computer screen,with amazing gaming accessories make it a full unleashed beast. 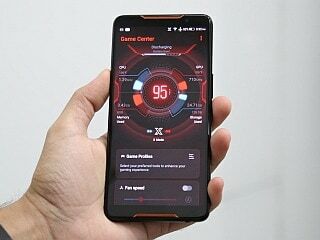 Asus ROG Phone smartphone was launched in June 2018. The phone comes with a 6.00-inch touchscreen display with a resolution of 1080x2160 pixels and an aspect ratio of 18:9. 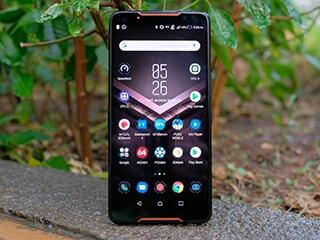 Asus ROG Phone is powered by a 2.96GHz octa-core Qualcomm Snapdragon 845 processor that features 4 cores clocked at 2.96GHz and 4 cores clocked at 1.7GHz. It comes with 8GB of RAM. The Asus ROG Phone runs Android 8.1 and is powered by a 4,000mAh non-removable battery. The Asus ROG Phone supports Quick Charge 4+ fast charging. As far as the cameras are concerned, the Asus ROG Phone on the rear packs a 12-megapixel primary camera with an f/1.8 aperture and a pixel size of 1.4-micron and a second 8-megapixel camera. It sports a 8-megapixel camera on the front for selfies, with an f/2.0 aperture. The Asus ROG Phone runs ROG Gaming UI based on Android 8.1 and packs 128GB of inbuilt storage. The Asus ROG Phone is a dual-SIM smartphone that accepts Nano-SIMsmartphone. Connectivity options on the Asus ROG Phone include Wi-Fi 802.11 a/b/g/n/ac, GPS, Bluetooth v5.00, NFC, USB Type-C, FM radio, 3G, and 4G (with support for Band 40 used by some LTE networks in India) with active 4G on both SIM cards. Sensors on the phone include accelerometer, ambient light sensor, compass/ magnetometer, gyroscope, proximity sensor, and fingerprint sensor. The Asus ROG Phone measures 158.80 x 76.20 x 8.60mm (height x width x thickness) and weighs 200.00 grams. It was launched in Black colour. It bears a glass body. 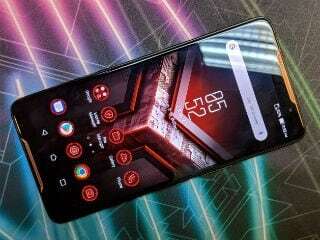 As of 23rd April 2019, Asus ROG Phone price in India starts at Rs. 69,999.